$999,000 USD Corner Lot - Ocean Views! This prime lot is available immediately upon it's sale. The villa shown in the photo has been demolished and the land cleared for development. A custom villa of approximately 400m2 can be built on two levels, (167m2 on the Ground Floor and 133m2 on the First Floor) the upper level and Solarium having panoramic Caribbean Sea views! 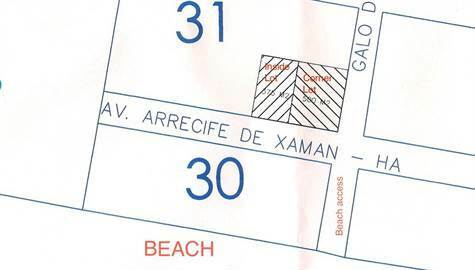 Come, build the home of your dreams and live almost on the beach, but with more privacy, tranquility and security.